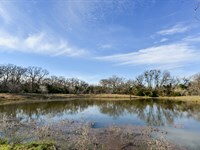 The Dos Hermanos Ranch is one of the finest turnkey hunting and recreational ranches on the market in Texas today. 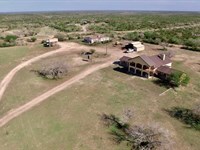 Providing both world-class white-tailed deer hunting along with some of the best wing shooting in Texas, this ranch is a Sportsmans paradise, No details were spared in the development of the property and with all of the infrastructure already in place, the ranch is ready for new owners to start enjoying it from day one. IMPROVEMENTS: The existing improvements bring tremendous value to the operation and enjoyment of the ranch. The main hunting lodge is over 6000 square feet and boasts a sequestered double master suite wing along with 4 large rooms, each with their own separate baths, a beautiful living room and separate game room, a commercial kitchen, bar, office, and a gunroom. 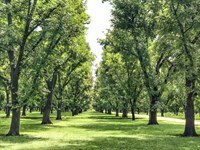 Grounds surrounding the lodge are immaculate with beautiful views of the surrounding country. Not far from the lodge is a drive through cleaning station with a walk-in cooler, a covered gun range, a large BBQ pavilion, a large barn, 3 homes for ranch staff, multiple small barns and workshops and 3 overhead grain silos. One of the biggest attributes to the property is a stellar deer breeding facility that houses an office, storage, working chutes, holding and operating rooms, and a bathroom all under one roof. The facility also has 24 outdoor pens with shelters, wind breaks and misting systems. Separately, there are 6 DMP pens that are currently being used for soft release. Scattered across the ranch are 5 pivots ranging in size from 10 to 75 acres. These are planted with alfalfa, oats and haygrazer and are utilized as food plots with the excess alfalfa being sold. A separate field is planted with milo for the birds. 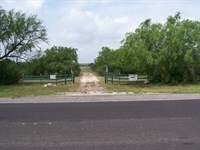 Lastly, the perimeter of the ranch is fenced with 8 game fence and is traversed with miles of improved caliche roads. EQUIPMENT TO BE Conveyed: Most furniture in the main lodge along with all of the deer blinds and feeders will convey with the sale. All owned minerals will also convey. The sellers believe they own minerals on the southern portion of the ranch. Buyers are advised to conduct their own research to determine the exact amount. The pipeline mentioned above does produce some monthly income to the ranch. WATER: Water on the ranch is tremendous as it boasts over 40 water wells. They range in production from 10 to 100 gallons per minute and supply water to the watering stations that cover the ranch, the 5 pivots, and they also fill the lake behind the main lodge. 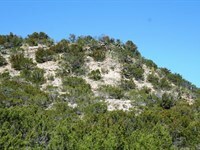 TERRAIN/HABITAT: Terrain on the ranch is extremely diverse. A rolling mountain range enters the property on the northwest corner and traverses the westernmost part of the ranch with the highest elevation being 2390 above sea level. 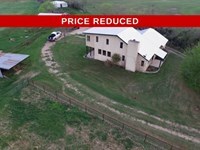 This elevation provides amazing views of the entire ranch and creek valleys below. 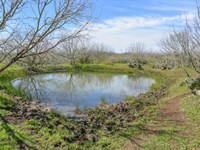 The eastern portion of the ranch is beautiful bottom land with fertile loamy soils, big mesquite and native grasses and brush. In the creek bottoms you will find oaks, hackberry and other hardwoods. The southern portion of the ranch is amazing quail habitat with excellent soil, lots of native grasses, some cacti and excellent balance of cover to open spaces. Food plots are generously dispersed all over the ranch with some in hay grazer for enhancement of the already strong quail populations. WILDLIFE: Because the owners have been intensively managing and improving the population for over 10 years, the quality of wildlife on the property is second to none, The main focus has been on the deer herd, but improvements have had a tremendous positive impact on the health and numbers of the entire wildlife community. The overall goal has been to maintain a strong pasture herd with good age structure that produces multiple 200 inch deer annually and they have succeeded, A population of approx. 600 7 acres/1 deer and a 1 1 buck to doe ratio has produced the desired result. 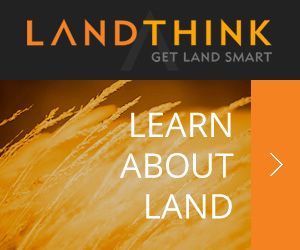 Harvest and survey records can be made available to the serious buyer. In addition to the pastured deer, a number of bucks and does with possible offspring are being managed at the deer breeding facility with top-notch bloodlines. In a recent survey, the wildlife manager also observed 100 head of Axis deer, more than 30 coveys of quail, over 300 turkey and a phenomenal dove population. EASEMENTS: Easements on the property include electrical, pipeline, and any other of record. However, there is no easement through this property to access any other property. MINERALS: Minerals owned by seller if any will convey. The pipeline produces some monthly income to the ranch. The sellers believe they own minerals on the southern portion of the ranch. Buyers are advised to conduct their own research to determine the exact amount. This ranch is an absolute must see for the avid sportsman that desires a turnkey, established working ranch that supplies world class hunting. 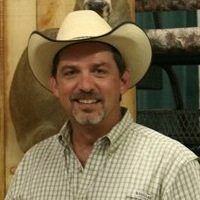 When calling broker, please say, "I found your listing Dos Hermanos Ranch on RANCHFLIP."